Sit back to the soothing tunes. Williams Lake, B.C. - The federal Crown announced this morning that it is moving to stay MiningWatch’s charges against the B.C. government and Mount Polley Mining Corporation (MPMC)—owned by Imperial Metals—over the largest mine waste disaster in Canadian history. If successful, the Crown action would prevent MiningWatch from presenting evidence to the Court about the 2014 spill’s damages to downstream waters and fish habitat, in violations of the Fisheries Act (see backgrounder below). MiningWatch is calling on the public to seek answers and clear commitment from the federal government to enforce its own environmental laws when they are violated. Please take the time to write to both Hon. Prime Minister Justin Trudeau (justin.trudeau@parl.gc.ca) and Hon. Dominic Leblanc, Minister of Fisheries and Oceans (dominic.leblanc@parl.gc.ca). Let them know you want the Canadian Fisheries Act to be enforced promptly in the case of the Mount Polley Mine disaster in British-Columbia. More actions will follow. MiningWatch's legal action is supported by multiple local, provincial, and national organizations, including West Coast Environmental Law-Environmental Dispute Resolution Fund (main funder), Amnesty International Canada, Sierra Club BC, Wilderness Committee, First Nations Women Advocating for Responsible Mining, Concerned Citizens of Quesnel Lake, Quesnel River Watershed Alliance, Fair Mining Collaborative, Rivers Without Borders, British Columbia Environmental Network, Clayoquot Action, Forest Protection Allies, Kamloops Area Preservation Association, Kamloops Physicians for the Environment Society, Alaska Clean Water Advocacy. With the support of multiple organizations, MiningWatch filed a private prosecution in October 2016 claiming that the massive 2014 spill destroyed or altered large swaths of fish habitat, in clear violations of sections 35(1) and 36(3) of the federal Fisheries Act (see also backgrounder online). 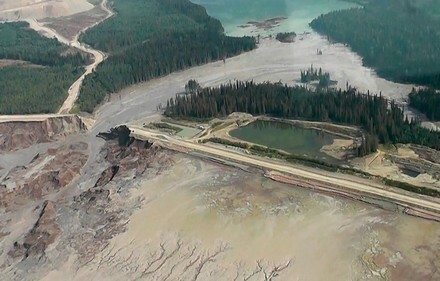 On August 4 2014, Mount Polley Mine’s tailings dam collapsed and sent up to 25 million cubic metres (10,000 Olympic-size pools) of wastewater and mine waste solids into downstream waters, destroying or affecting over 2,612,470 m2 of aquatic and riparian habitats—equivalent to about 500 football fields or 1500 ice hockey rinks. Impact assessment reports of the spill commissioned by BC’s Ministry of Environment and MPMC indicate strong evidence of an impact to sediments, both physically and chemically, within Hazeltine Creek, Polley Lake, and Quesnel Lake. Irony is the not-so-new normal. Somewhere back in the swirling dry-ice mists of history, round about the time of the one-and-only Clinton Administration, this venerable figure-of-speech stretched its wings and its brand and became a full-fledged lifestyle choice providing post-moderns with essential protection for life, liberty, and pursuit of nostalgia. Aided by irony, you could wear suede shoes and wide-wale bell bottoms, mix old-fashioned cocktails from overpriced mason jars, enjoying it all while meaning none of it. The performance was the key: cloaked in paradox, these linoleum counter-revolutionaries were safe—they’d say “empowered”—to mock their own poses. There was an unacknowledged anti-political dimension to this: how to make sense of poor boy from Hope, Arkansas claiming to be a young and groovy populist but then going on to make war on black America, firing off missiles in the Middle East, expanding NATO in search of a new Cold War, and jumping into bed and into closets with corporations and interns? The answer to all this was ironic: buy a camo flak jacket or make kindred gestures more defeatist than defiant. Next thing you know it’s 2017. Donald Trump is about to be president and has taken irony to a whole new realm called by some “post-truth”. American leaders have long been contemptuous of honesty, especially about themselves and their country, but Trump enjoys flaunting his scorn for reality: he’s lived so long in his own irony bubble that he no longer knows or cares what the difference between disdain and belief might be. That’s what makes him the hippest man in America. Like the fabricated images we see riffling in the breeze on a vintage Hollywood back lot that is a favorite location of the film, this is the backdrop for La La Land, the movie musical that took home a magnificent seven Golden Globes last weekend and is poised to rake in still more pseudo-honors at the upcoming Academy Awards. This cinemascope entertainment makes for a fun two-hours, but it must be enjoyed with a big tub of buttered irony if the kernels and condiments of its nostalgia are to go down the gullet without provoking a spluttered cough or requiring a life-saving Heimlich maneuver from the usherette. The genre of La La Land is inherently backward-looking, the film soaked with references to the movie industry’s past and the musical’s marquee moments. There are the obligatory riffs on Singin’ in the Rain, An American in Paris, Top Hat and probably dozens of other bits of more recent, but no less nostalgic cast. 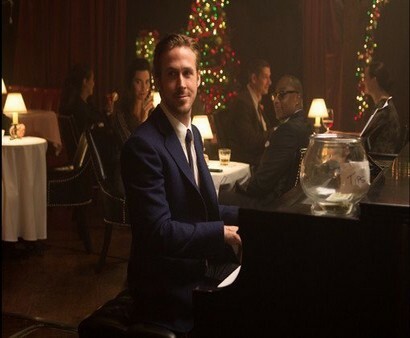 These are fetchingly embroidered into the love story of the main characters, the doctrinaire old-school jazz-pianist, Sebastian (Ryan Gosling) and the aspiring actress Mia (Emma Stone): even their romance is overtaken by retrospect as the movie gives in to the seductions of its own reverie. Lit by the afterglow of the Golden Age past and the glimmer of a what-might-be future, La La Land celebrates its own self-regard by gently mocking the here-and-now of its Los Angeles. When in this lightly ironic mode the film is at its best. At an overlook in Hollywood Hills where the couple breaks into their first duet and soft-shoe number, the would-be lovers comment disdainfully on the sprawling city of lights below. The movie loops back on itself for a later return to the location, during the day rather than in romantic twilight: the pair scoffs at the city once again, as if to say “Who would live—and love—in such a place?” Nostalgia numbs the senses, and is therefore the drug that allows the pursuit of celebrity. Accordingly, the movie’s centerpiece song, “City of Stars” is a wistfully circling minor key melody above a repetitive piano figure that is jaunty and sentimental: it doesn’t think, it dreams. The film’s most impressive cinematic feat comes right at the opening with “Another Day in the Sun.” Motorists stuck in a teeth-grinding L. A. traffic jam escape their cars for a high-energy production number that weaves between vehicles and courses up and down the on-ramp—all in a single take with the camera itself joining the ecstatic choreography. Making fun of the perfect Californian weather and the relentless freeway stasis that defines the city derided by Mia and Sebastian from the Hollywood Hills, this tableau gives new meaning to the phrase show-stopper. Gridlock spawns blastoff before the film has even properly begun. This wholesome escapist fantasy also laughs at the chases and crashes in which Hollywood automobiles usually star: the only time there is traffic in La La Land is when it helps the story. These petty ironies orbit around a much weightier one. The appealing chemistry between the leads is at its best when Stone and Gosling are verbally sparring, on a date at a classic movie, flirting, or arguing—not when they are dancing or singing. That the movie more-or-less overcomes this dilemma is a tribute to the generally snappy script and the verve of the direction. While one can admire the effort and native talent of both stars in their homages to Ginger Rogers, Gene Kelly and many others, they are not equipped for their roles: the crescendo never comes; no one is swept off her feet; gestures are made but not followed through on. Stone is a real star even when not fully in her element, but when doing their songs and dances she and Gosling seem more to be hitting their marks in a meta-musical. In this sense the musical’s main song rightly judges the movie around it: the leads are stars, not singers and dancers. There are still more massive ironies, none more debilitating than the fact that it’s a strident—not stride—white pianist who anoints himself the apostle of jazz who will save it from the menace of pop culture. This Sebastian loves bebop not Bach. He worships Miles, Coltrane and other icons of what he calls “pure jazz.” Yet Sebastian’s own waltz—the one that first draws Mia to him in a restaurant where he is shackled in seasonal servitude to the Christmas Carols and that he plays again at the crux of the film—is sickly saccharine stuff, the work of the musical’s composer, Justin Hurwitz. As supposed savior of what some have called America’s Classical Music, Sebastian is stuck in a movie musical that, in contrast to the so many Broadway shows, will never birth a jazz standard. Real jazz musicians are occasionally wheeled into frame like stage sets in order to add a whiff of authenticity, but there no attempt is made to marry the art form with the real musical content of the movie. The film seems to confirm what its lead character fears: Americans don’t like jazz. Writer-director Damien Chazelle is to be applauded for his virtuosically impressive direction and the cleverness of his script, but his attitude towards jazz appears as white as Fred Astaire’s waistcoat—perfect for Hollywood. In Chazelle’s Whiplash (2014) it was the malign and musically tiresome Buddy Rich who was the idol of the young, beset drummer. In La La Land Gosling’s Sebastian professes to love Monk, and tries to figure out one of his piano licks by constantly rewinding the cassette player in his 1970s convertible while stuck in that opening traffic jam. But what Sebastian sings and plays himself is pure schlock. The filmmakers are clearly aware that they are on dangerous ground when it comes to race, especially in Los Angeles. When Seb first breaks into “City of Stars” he is shuffling down Santa Monica pier trying some Astaire tricks with a fedora that apparently fell like manna from the heaven. On his stroll he encounters a black couple and dances cheek to cheek with the woman for a few bars, before the man takes muted umbrage. The role of Sebastian’s music-school comrade and former bandmate Keith is taken by that anodyne avenger, John Legend. He is made to espouse a supposedly progressive view of jazz that claims it must either evolve or die. Soon enough the unbending musical moralist, Sebastian is buying dark suits and touring with Keith’s band ironically called the Messengers— the “Jazz” of Art Blakey’s seminal ensembles having been lopped off. Still more ironical is the fact that Legend’s production number Start a Fire (co-written by Legend and Hurwitz) makes for the film’s best, most energetic music—all nostalgic funk and fusion, big haired back-up singers and Solid Gold-style dancers. Soon after this ironic high, Sebastian plays the piano at Keith’s wedding to a white woman, the interracial marriage is a pretty transparent ploy to soften the racial dissonance at the heart of the film. At the backyard ceremony, Sebastian doesn’t seize the opportunity to break into Monk’s Ruby, My Dear but claws at his signature waltz, as sickly sweet as bad wedding cake. Irony makes even this palatable. Andrew Kurjata, the writer of this piece works for CBC "Daybreak North." Over the past 4 years have repeatedly appealed to Daybreak North to cover the issue of the "Nathan E Stewart" and the implications of the American Alaska-bound tanker traffic that exploits the BC Inside Passage as a private petroleum conduit. Over the past 4 years I have repeatedly appealed to CBC "Daybreak North" to cover the issue of the "Nathan E Stewart" and the implications of the American Alaska-bound tanker traffic that exploits the BC Inside Passage as its petroleum conduit. It was only after the wreck of the Nathan E Stewart that CBC Daybreak North began covering the issue, - albeit with a blatant, sanitized slant focused on talking points provided by the Texas-based Kirby Corporation that owned the tug, the Kinder Morgan- owned "clean-up" service, WCMRC which provided a chimera of "cleanup" operations in progress around the wreck, and by Big Oil government lackies, all of which was designed to sanitize and minimize the implications of the disaster. CBC and Daybreak North never once sought to examine the outrageous Alaska-bound tanker business that conducts as many as 50 round trips up and down the BC Inside Passage annually. 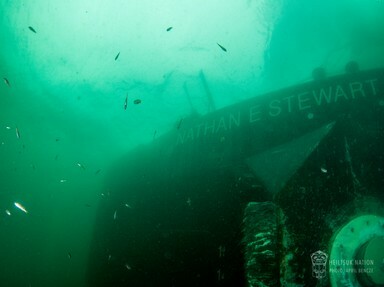 It did not notice the political wrench that the wreck of the Nathan E Stewart presented to Justin Trudeau's tightly-scheduled roll-out of pipeline/tanker announcements. Neither did CBC or Daybreak North examine the farcical, utterly hopeless, ineffectual, and impotent "clean-up" of the disgusting, poisonous, devastating, yet comparatively minuscule slick that spewed out of the wreck. 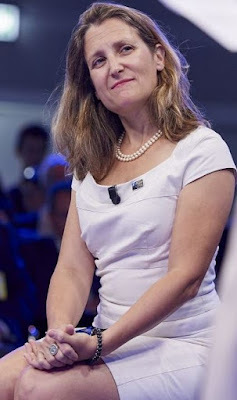 Initially, I approached CBC with polite, concise, factual reports about the tanker traffic, and how it operated, providing not a single Canadian job, -not even to Canadian pilots- paid no tarriff or fee, offered no stops in Canada, and carried on average, one quarter of the petroleum spill volume that was released into the sea by the Exxon Valdes, - on every trip! But they were not interested at all. Daybreak North has consistently, unfailingly refused to give me any airtime on this issue. They have never returned my calls, or ever showed the slightest interest in this most serious clear and present danger that threatens the natural splendours of this coast. I challenge anyone to name a bigger threat. CBC Daybreak North purports to cover "northern" issues, and although it runs a branch in Prince Rupert which purports to cover coastal issues, the station is based, managed and tightly controlled from Prince George, -which of course, is amongst the very few BC communities which remains transfixed in the thrall of Big Oil. If I am being muzzled and blacklisted by Prince George CBC message-management, then I expect that they are also muzzling others amongst the vast majority of British Columbians who oppose, or are concerned about the Big Oil Assault on this province. I believe that CBC Prince George harbours entrenched remnants of obsequious status-quo, business-as-usual conservative-slanted stenographer lackies that survived the Stephen Harper eviscerations of the CBC. It’s also allowed the media to again trot out the Russian word “compromat” as if the Russians invented the game of assembling derogatory information about someone and then using it to discredit or blackmail the person. The intelligence community’s assessment set the stage for what could have been a revolt by the Electoral College in which enough Trump delegates could have refused to vote for him to send the election into the House of Representatives, where the states would choose the President from one of the top three vote-getters in the Electoral College. The third-place finisher turned out to be former Secretary of State Colin Powell who got four votes from Clinton delegates in Washington State. But the Electoral College ploy failed when Trump’s delegates proved overwhelmingly faithful to the GOP candidate. Can Democrats Transition to Trump? There was Cokie Roberts being interviewed about the current mass media obsession -- the alleged hacking of the Democratic National Committee server by Russia, and President-elect Donald Trump’s refusal to accept the evidence-free claims of the Democratic political appointees heading the nation’s intel agencies that the the hack “definitely” happened. Think about that for a moment. On one level, the long-time NPR commentator is right: US policy towards the government in Moscow has been remarkably consistent -- and hostile -- for 70 years, albeit with a few brief periods of at least relative friendliness, as during the early and mid 1990s after the collapse of the Soviet Union. 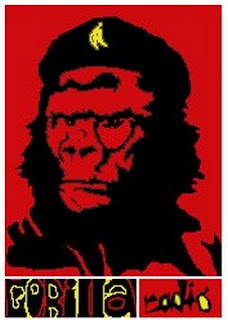 But that gets to the other point: There was, recall, a fundamental change that happened in 1989-90, when the Communist state founded in the Russian Revolution of 1917 collapsed, and the Soviet Union splintered into Russia and a bunch of smaller countries -- former Soviets in the old empire -- including Byelorussia, Ukraine, Georgia, Estonia, Latvia, Lithuania, and a bunch of stans in Central Asia. The real question is, once the USSR ceased to exist and Russia, a rump country that, while geographically the largest in the world, is less than half the size of the US in population, found itself struggling to restructure it’s centralized state-owned economy into a modern capitalist one, shouldn’t the US have changed it’s “consistent policy” of hostility towards what remained of the old Soviet Union -- particularly as Russia was no longer communist? Instead of actively helping Russia recover, the US urged on President Boris Yeltsin a destructive “economic shock therapy” program of balanced budgets, open borders for imports and investment and, most importantly, a sell-off of state assets that quickly enabled corrupt former commissars to transform themselves into insanely wealthy new capitalist oligarchs. While Russians struggled to survive through a period of rampant inflation, economic collapse and epic corruption, the US, instead of lending a helping hand as it had to the collapsed countries of Europe and after World War II (including our former bitter enemies, Germany and also Japan in Asia,), Washington under the Clinton administration began a program of aggressively and threateningly expanding the North Atlantic Treaty Organization (a Cold War relic of an outdated containment policy which should have, like the Warsaw Pact, been mercifully disbanded), forcing an economically strapped Russia to respond by still spending precious resources on restoring its hollowed out military. Yes, there has been a 70-year consistent policy of hostility towards Russia, not to mention unremitting anti-Russian propaganda in the US, as Roberts says, but that’s because foreign policy in the US has been in the grip of a Republican-Democrat bi-partisan consensus that argues that the US must work to maintain absolute military superiority over all real and potential rivals, forever. And that consensus views Russia as a major potential threat to that superiority. That’s why we have a military budget of $600 billion, nearly three times as much China ($215 billion, much of that for domestic control purposes), another country that poses no threat to the US, and as all the rest of the world spends, while Russia’s budget is just 11 percent of that amount at $66 billion, ranking it behind third-ranked Saudi Arabia ($87 billion). While Obama Defense Secretary Ashton Carter and others in the Washington elite maintain that Russia poses an “existential threat” to the US, presumably because of the number of nuclear missiles it maintains, it’s important to note that Russia has those missiles because the US has a similar number, most of them pointed at Russia--the main difference being that the US has many of its nuclear-tipped missiles located just minutes away from Russia at sites in Eastern Europe, while Russia’s nukes are all on its own territory, thousands of miles and at least a half-hour’s flight away from the US mainland -- a difference that means one country, the US, has the ability to launch a first strike and take out the other country’s ability to respond to an attack, while the other has no ability to make such a first-strike threat. This is all by way of getting to a larger point. The hysteria about Russian hacking of the US election -- an action which while it might have happened, is by no means proven -- is a meaningless diversion, because there is no evidence at all that Russia is an aggressive nation. While the US is moving Abrams battle tanks and nuclear-capable mobil artillery up close to the Russian border in the waning days of the Obama administration, forcing Russia to respond by beefing up its own national border defenses, no one could argue seriously that Russia and its leader Vladimir Putin, have any interest whatsoever in invading any country of Europe, however small and weak. 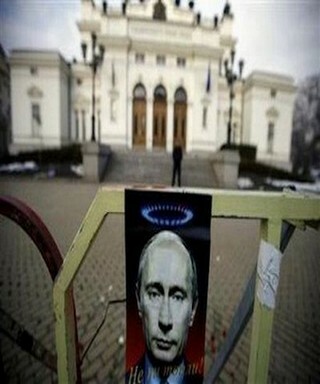 What possible advantage could come to Russia from such an action? Even if Russia could succeed in invading Poland and grabbing a piece of that country, or invading one of the Baltic countries that were former Soviets, such an action would make developing trade relations with the rest of Europe impossible, and would force Russia to engage in a costly occupation which it can ill afford. Why, one has to ask, would Russia be building, with up to $100 billion in Chinese financing, a bunch of super high-speed rail lines from eastern China and eastern Siberia all the way to rail hubs in Germany and other European countries , to facilitate vastly expanded trade overland, if it were also secretly planning to conquer and occupy parts of Europe again, as it did in the pre-1990 era? A cynic -- or realist -- might suspect that it is precisely this goal of economic integration of Europe and Asia, with Russia at the center, which lies at the root of US antipathy and hostility towards both Russia and China. If the US continues to cling to the insane, megalomaniacal idea of maintaining strategic dominance -- military and economic -- at all costs over all current and potential rivals around the globe, there is a certain logic to trying to ruin this grand plan for economic convergence on the Eurasian continent. But let’s at least demand honesty about it. Donald Trump has said, famously, that people who say the US should not be trying to develop friendly relations with Russia are “stupid.” He might not be eloquent, but he is absolutely correct. Well, actually, no, we are not in agreement. Where do otherwise intelligent liberal-minded people get these tales of Putin evil? Nobody’s saying that he is a Jeffersonian democrat, but let’s at least get the history right. The “harm to tens of millions in the former USSR” and in Russia proper was done not during Putin’s tenure but during the first decade after the collapse of the Soviet Union, between 1989 and 1999. That was when the entire Soviet Union was strip-mined by former Communist apparatchiks who enriched themselves by cutting deals to take over former state assets at fire-sale prices, or for nothing, robbing the Russian people, and the workers in those former state enterprises blind. The US encouraged this process, and Boris Yeltsin, a notorious drunk, oversaw it for two terms as Russia’s president. Vladimir Putin began his rise to power in 1999 when Yeltsin made him prime minister before suddenly resigning the presidency on New Year’s Day 1999. GDP during Boris Yeltsin’s catastrophic first term as head of the new post Soviet Russian state collapsed by 40% between 1991 and 1996 -- a worse disaster than the US Great Depression. By 1997, Russia, a huge agricultural producer, was importing one-third of its food. Nothing improved during Yeltsin’s second term, with GDP remaining flat through 1999. Remember, most of the ‘90s was a period of economic boom throughout the rest of the world, meaning that Russia, even standing still, was losing ground to everyone else. As the British newspaper the Guardian, points out , in a way that you will be hard-pressed to find reported honestly in the US corporate media, Putin, during his decade and a half of running Russia, rebuilt the Russian economy, improved the lives of average Russians immensely, and equally importantly, restored a once great nation from the status of global basket case to a major international power again. Not surprisingly, he is now one of the world’s most popular leaders . While wild swings in the exchange value of the Russian ruble vs. the US dollar make the figures a little squishy, Russian GDP in 1999, when Putin took over the government, was $196 billion, and rose to over $2 trillion in 2011, hitting a record $2.2 trillion in 2013. With oil and gas exports central to Russian international trade, the crash in oil prices in 2015 knocked Russia’s GDP back down to $1.3 billion, but it needs to be pointed out that for most Russians, who primarily buy goods from food to clothing to housing on the domestic market, unaffected by exchange rates, this has had little impact on their standard of living, only raising the cost of imported goods. Without question, in the view of most Russians, Putin has done a good job of managing the Russian economy. That’s not to say he isn’t an autocrat. He is, and he’s got a nasty record on freedom of the press and on gay rights, but that begs the question: when has a country’s being headed by an autocratic leader or even a tyrant deterred the US from having friendly relations with it? There’s no room in this article to run a list, but let’s just mention the Shah of Iran, the Chilean military-dictator Augusto Pinochet, the Brazilian and Argentine juntas in 1964 and 1976, Salazar and Franco in Portugal and Spain, and then the dictatorships in Saudi Arabia, Egypt, Bahrain and other countries of the Middle East. In comparison to these disturbing examples of American “friends,” Putin seems absolutely a paragon of democratic values. In any event, let’s hope that the mostly liberal Democrats who are being taken in by the media-induced hysteria over an imagined Russian plot to destroy American democracy and to ensconce a Manchurian-candidate Donald Trump in the White House, will come to their senses soon. 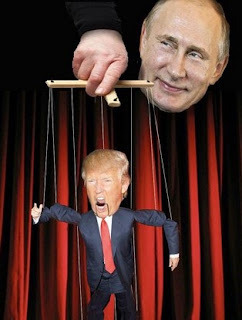 There are myriad reasons to organize resistance to Donald Trump as we head into a very challenging four years of reactionary Republican control of all the levers of power in Washington, but fear of Russian control over our next president isn’t one of them. In fact, let’s hope that he at least makes good on that one campaign promise to improve US relations with Russia! Honestly, we just went through eight years of insane non-stop Republican paranoia claiming the Barack Obama was a secret Muslim plant in the White House, or a secret Communist, or, incredibly, both. Some even thought that he was a secret fascist too! We on the left, including liberal Dems, used to laugh at the naive inanity of it all. Yet now, how different are the liberal Democrats who are breathlessly claiming that this new president is a puppet, wittingly or unwittingly, of the evil Russian puppetmaster Vladimir Putin? Oil prices faltered at the start of the second week of the year, as fears set in about a rapid rebound in U.S. shale production. For the better part of two months, optimism surrounding the OPEC deal has buoyed oil prices, but bullish sentiment from speculators are showing early signs of abating, raising the possibility that the oil rally is running out of steam. WTI and Brent sank more than 2.5 percent in intraday trading on Monday, after a report at the end of last week showed another solid build in the U.S. rig count, the tenth consecutive week that the oil industry added rigs back into the field. Aside from a single week in October, the U.S. oil industry has deployed more rigs in every week dating back to June, a remarkable run that has resulted in more than 200 fresh rigs drilling for oil. The gains in the rig count come even as oil prices have held steady in the mid- to low-$50s per barrel. At the start of 2017, there are two major dynamics at play occurring at the same time, each pushing in opposite directions on the market. The OPEC deal is slated to take oil off the market, while U.S. drilling is expected to add new supply. The pace and magnitude of each trend will ultimately drive oil prices one way or the other. On top of that, Kuwait’s envoy to OPEC said that Qatar, Kuwait and Oman were also complying with the cuts. In an interview with Bloomberg, Kuwait’s Nawal Al-Fezaia said that those countries already told customers that cuts were imminent. “It’s a good time to do maintenance on oil fields during production cuts,” Al-Fezaia said, noting that Kuwait will lower output from 2.89 mb/d in December to 2.7 mb/d by the end of January. Market analysts paused a bit on news that Iraq’s oil exports from its southern ports on the Persian Gulf hit a record high in December, but the data has no bearing on whether or not Iraq will comply with the agreed upon cuts. “Achieving this record average will not affect Iraq’s decision to cut output from the beginning of 2017,” Oil Minister Jabbar Al-Luaibi told Bloomberg in an emailed statement. However, the flip side of the equation is faster drilling from the U.S., where rig counts continue to climb. Oil output, according to EIA weekly surveys, is up roughly 300,000 bpd from summer lows, with more supply expected to come online in the months ahead as drilling picks up pace. This small exploration company has just signed a deal that could turn it into a major player in the coming EV boom as vital commodity supplies run low. It is unclear, at this point, how rising U.S. supply and falling OPEC output will ultimately balance out. For now, the consensus seems to be tightening conditions in the first half of 2017, with much greater uncertainty in the second half, but that remains to be seen. There are a few minor worrying signs for oil prices that could crop up as additional bearish forces in the next few weeks. The U.S. DOE announced on January 9 a “notice of sale” from its strategic petroleum reserve, with plans to sell 8 million barrels for delivery over the course of February, March and April. Meanwhile, Libya is seeing rapid gains in oil exports after the reopening of a key export terminal, with output jumping to 700,000 bpd, according to the latest data, up sharply from the 580,000 it produced in November and the 300,000 bpd it exported before it started restoring output last summer. Moreover, Nigeria – which, like Libya, is exempt from the OPEC deal – is intent on restoring production. It may struggle to do that with the recent shuttering of the Trans Niger Pipeline, potential strikes from oil workers unions and the announcement from the Niger Delta Avengers that attacks will resume this year. In fact, production appears to have declined in December, falling 200,000 bpd to 1.45 mb/d, because of some of these issues. But if those problems can be overcome, Nigeria has latent production capacity that could come back online at some point. And in a sign that there is not a lot of room on the upside, a kerfuffle in the Persian Gulf over the weekend did nothing to affect oil prices. A U.S. Navy destroyer fired three warning shots towards Iranian ships, an incident that in the past would have led to a sharp, even if brief, rally in crude prices. Instead, the markets shrugged off the incident – WTI and Brent sank on the first trading day after the event, on unrelated news. "The market is overbought and under a lot of downward pressure," Bob Yawger, director of the futures division at Mizuho Securities USA Inc., told Bloomberg. 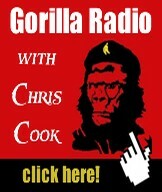 "The shots fired at the Iranian boats in the Strait of Hormuz didn’t do anything to the market. A few years ago that would have added a couple dollars to the price." What Hope of Change for America's Generational Political Prisoners? In the last full week of Barack Obama’s eight year tenure as President of the United States of America, dozens of political prisoners still sit in cages across the nation’s prisons, rotting away as Obama consciously chooses not to exercise the power to simply free them with the stroke of a pen. 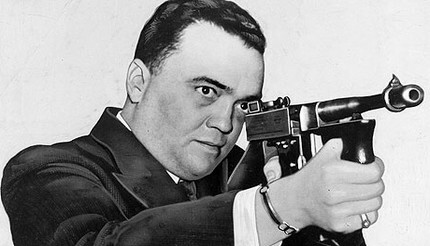 Many activists for Puerto Rican independence, Native American and African American rights, and other causes were targeted by the political police’s illegal COINTELPRO program and convicted in sham trials. Oscar López River in Washington D.C.
Now elderly, some in poor health, they may effectively be facing death sentences unless Obama’s decides within the next two weeks to grant their appeals for clemency. Among the most well known political prisoners are Oscar López Rivera, Leonard Peltier and Mumia Abu-Jamal, who have all been locked up for at least three and a half decades. Many others including The Move 9 and The Holy Land Five have spent years or decades in jail for their political action and views. Many, like Chelsea Manning and Jeffrey Sterling, have been denied their freedom for exposing government crimes and misdeeds. During a joint press conference with Obama and Cuban President Raúl Castro, CNN’s Jim Acosta asked Castro why the Cuban government held political prisoners and whether he would release them. Castro responded by asking for the names of people Acosta was referring to, and said that if he was given a list, they would be free by that evening. Acosta did not name anyone. CNN declared that Castro “skirts question on political prisoners.” The press coverage treated it as self-evident that only the Cuban government should have to defend itself against allegations of human rights abuses. It was taken for granted that the U.S. President would not have to answer the same question. By the time the meeting between Obama and Castro took place, all detainees in Cuba considered by Amnesty International prisoners of conscience had already been released. Meanwhile, Amnesty has directly called on Obama to free Leonard Peltier. They have produced multiple reports on his case. However, no news organization questioned why an American reporter who covers the U.S. President every day had never bothered asking Obama - before or during the press conference in Cuba - about U.S. political prisoners. When I asked Acosta via Twitter why he was silent about U.S. political prisoners and whether he would call on Obama to free Peltier, he did not respond. In the following months, he has not responded to multiple inquiries about his refusal to ask the same questions of his own President that he does of leaders of foreign countries. Many journalists working in the American mainstream media see themselves as being on the same team as their own government, safely staying on the side of U.S. power by acting as a mouthpiece to promote the government’s own narrative and only opposing those countries and leaders that the U.S. government declares adversaries. As the corporate press refuses to acknowledge that the U.S. has political prisoners, it is left to grassroots groups to demand justice. Recently, separate petitions calling for clemency for López Rivera and Peltier were created through the White House’s We the People web site, where citizen petitions that receive 100,000 signatures receive a response from the White House. Translation: The President doesn’t actually respect citizens’ right to participate in decision making, and feels free to ignore them whenever he chooses. The We the People web site is merely a propaganda tool to give the illusion that the president is accountable to the citizens he purportedly serves. Indeed, Obama has closed his eyes and ears and shut out the voices of millions of people who have spent his entire presidency calling on him to show basic human decency and stop the perpetration of historic injustices against López, Peltier, Abu-Jamal and many other political prisoners. 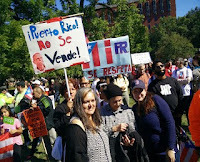 Puerto Ricans who are denied their right to self-determination and relegated to second-class citizenship have been unrelenting in continuing to demand that Obama grant López Rivera his freedom, despite years of being ignored by Washington. Massive rallies have been held annually in San Juan and across the island on the anniversary of López Rivera’s incarceration each May. The group 35 Mujeres por Oscar (35 Women for Oscar) holds regular gatherings, the most recent on Jan. 6 for López’s birthday. A branch of the group in New York City does the same. “We’re here in the United States of America, in front of the government that has enslaved us for more than 100 years. The government that in exchange for a passport took our families to its wars. The government that experimented with our people, since they came implanting its language by force. The government that performed medical experiments on our grandparents injecting them with cancerous cells. The government that experimented with anticonceptive pills on our island. We, who understand [López Rivera’s] fight, are here to tell this government - the only government in the history of humanity to fire atomic bombs - that they have in prison a hero much braver than Washington. That this hero has been imprisoned longer than Mandela. That this hero became a hero without hoping for anything in return. We, who understand the fight of Oscar López are in front of the White House to tell this government that every additional second Oscar López spends in prison converts him in a hero much bigger than any of the heroes the United States has had. We are here to tell this government that even though the history books don’t tell us the real history that includes heroes like Oscar López, we will take charge of telling it. We, who understand the fight of Oscar López, are here to tell this government that we will never ask forgiveness for defending our right to be free. So we don’t ask them to forgive Oscar, but that they recognize the true history of the world, that they recognize the history of Puerto Rico, and maybe some day, after they free Oscar, we will forgive them." Obama has chosen to ignore the massive injustice committed against political prisoners in American gulags while lecturing others that people shouldn’t be imprisoned for their political beliefs. He either refuses to acknowledge or refuses to care that the government he leads can - and often does - use the legal system punitively to silence those whose political views and actions threaten its perpetuation of the status quo, and to intimidate others into abandoning resistance. As Pérez said, perhaps someday people will forgive him. Is The Company's Strategy a Russia War? Powerful elites are using the credibility of the US Intelligence agencies to demonize Russia and prepare the country for war. This is the real meaning of the “Russia hacking” story which, as yet, has not produced any hard evidence of Russian complicity. Last week’s 25-page report, that was released by the Director of National Intelligence James Clapper, illustrates to what extent intelligence is being “fixed around the policy”. Just as the CIA generated false information related to Weapons of Mass Destruction to soften public resistance to war with Iraq, so too, the spurious allegations in the DNI’s politically-motivated report are designed to depict Russia as a growing threat to US national security. The timing of the report has less to do with the election of Donald Trump as President than it does with critical developments in Syria where the Russian military has defeated US-proxies in Syria’s industrial hub, Aleppo, rolling back Washington’s 15-year War of Terror and derailing the imperialist plan to control vital resources and pipeline corridors across the Middle East and Central Asia. Russia has become the main obstacle to Washington achieving its strategic vision of pivoting to Asia and maintaining its dominant role into the next century. The Intelligence Community has been coerced into compromising its credibility to incite fear of Russia and to advance the geopolitical ambitions of deep state powerbrokers. Brennan, of course, provided no evidence for his claims nor did he mention the hundreds of CIA interventions around the world. But Brennan’s accusations are less important than the fact that his appearance on a nationwide broadcast identifies him as a political advocate for policies that conflict with those of the new president. Do we really want unelected intelligence officials — whose job it is to provide the president with sensitive information related to national security– to assume a partisan role in shaping policy? And why would Brennan –whose is supposed to “serve at the pleasure of the president”– accept an invitation to offer his views on Russia when he knew they would be damaging to the new administration? 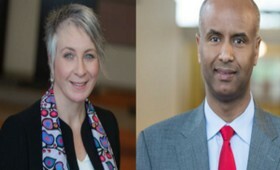 Immigrant rights groups across Canada are laying out a pressing agenda for incoming Immigration Minister Ahmed Hussen and Employment Minister Patty Hajdu, calling for a transformative turn towards ensuring permanency and mobility for all immigrants. Over 1.2 million people in Canada, the vast majority of immigrants, are on precarious and temporary immigration permits. Many are restricted to a single workplace, and therefore unable to assert their rights. Tapping into this under-utilized economic potential and ensuring that Canada meets its human rights obligations requires opening up work permits, and granting permanent residence both on arrival to incoming migrant workers and to undocumented immigrants and other precarious status migrants already in the country. “The largest part of the immigration system is undocumented and temporary status migrants, and their precarious status directly impacts employment and the economy. That’s where the Ministers must turn their attention,” says Syed Hussan of the Migrant Workers Alliance for Change in Ontario. “Creating an open work permit program for temporary foreign workers should be the first order of business for the incoming Ministers,” says Anna Malla of Caregivers’ Action Centre. “Permanent status for immigrants already in the country would immediately boost the economy, integrating skilled and established individuals and families who already work to take care of our communities,” added Josie Baker from Cooper Institute in Prince Edward Island. It's often said there are two sides to every story, but two sides doesn't cover the many facets of the near six years-long war in Syria. Whether at the front lines or on the virtual battlefield everyone, from the Assad government and its Russian and Iranian allies, to America and its friends in the Gulf Cooperation Council, and the myriad extra-state actors arrayed on either side, has a point of interest to defend and an enemy's position to attack. One certain thing though is, the people of Syria have been terrorized by all sides and it's their best interests being sacrificed every time a bomb is dropped, a sniper shoots, or a media propagandist pulls the camera trigger. His recent article, 'The Pathologies of War: Dual Propaganda Campaigns in Reporting on Syria,' appearing at the news website, CounterPunch.org, takes a hard look at the righteous claims on all sides of the Syria conflict. And; are you suffering for your paycheque, or is someone you know being brutalized by workplace tyranny? The BC Employment Standard Coalition, a group "bring[ing] together organizations, advocates and workers to campaign for decent wages, working conditions, respect and dignity in the workplace" is in Victoria and they want to hear your story. David Fairey is Co-Chair of the BC Employment Standards Coalition and Research Associate with the Canadian Centre for Policy Alternatives. He's past Director of the Trade Union Research Bureau, and has worked over the course of a long career on "a wide variety of labour and employment law issues such as labour standards, labour relations, pay equity, construction safety, and migrant labour." David and the BC Employment Standards folks are down at the Victoria Events Centre at 1415 Broad Street all day today and this evening lending an ear, and offering workers help with employer challenges. The Russian president is attacked by the U.S. political class and media as they never attacked Soviet leaders; he is personally vilified as a corrupt, venal dictator, who arrests or assassinates political opponents and dissident journalists, and is hell-bent on the restoration of the USSR. (The latter claim rests largely on Vladimir Putin’s comment that the dissolution of the Soviet Union was a “catastrophe” and “tragedy”—which in many respects it was.